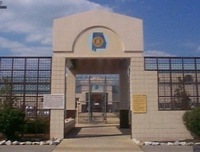 Bullock Correctional facility is a medium security facility that houses over 1100 inmates. Phones at this institution are on from 8 in the morning until 10:30 pm on weekdays, weekends the phones are usually off by 11pm. Like most facilities this correctional facility provides services for substance abuse treatment and education classes. In addition to the items highlighted above, inmates can receive 2 books of stamps through the mail. Holiday packages can be ordered through a third party company but you must be on the inmates funds list. This is the list that contains the names of people who are permitted to send the inmate commissary funds. Please note that some people have waited as long as 6 months to be approved for visitation, so don't wait until the last minute to apply. Visiting days at Bullock Correctional facility are Saturday or Sunday from 8am-12:40pm. You should arrive 15 minutes early as the gates open at 7:45am. Upon arrival you must sign into visitation. You must have completed a visitors application prior to visiting. Visiting day and times are dependent on the inmate's housing location and last name. The schedule for visiting alternates days so you should contact the facility to get the current rotation at (334)738-5625.